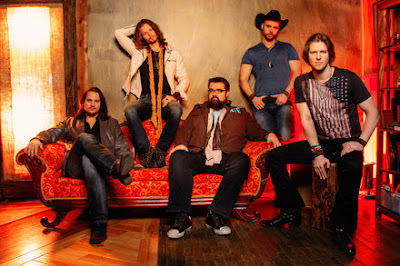 Columbia Records’ Home Free will make their Grand Ole Opry debut this Friday, July 17. On the historic stage, the acclaimed vocal band will perform their first original song "Summer In The Country" featured on their third album slated for release this fall. Well-known for a capella renditions of some of today’s biggest country and pop hits, Home Free’s new project will include original music for the first time and a few surprise collaborations. "We are absolutely thrilled about our debut at the Grand Ole Opry. It is a rite of passage for country artists and we are honored to have been invited to that sacred stage," shared Home Free’s Tim Foust. Home Free will join Vince Gill, Larry Gatlin & The Gatlin Brothers and The SteelDrivers, in Friday’s lineup, which begins at 7:00 PM. Comprised of five vocalists from Minnesota - Austin Brown, Rob Lundquist, Chris Rupp, Tim Foust and Adam Rupp – Home Free will hit the road full throttle this fall with the launch of the 2015 DON’T IT FEEL GOOD Tour. Kicking off September 14th in Fredericton, Canada, the tour will cover 47-plus cities bringing their high-energy performances and quick-witted humor across North America. To date Home Free has made their mark on the music scene with selling more than 150,000 copies combined of their popular albums, CRAZY LIFE and FULL OF CHEER, embarking on two major national tours and amassing nearly 40 million YouTube views.